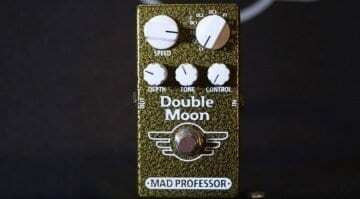 The new Mastro Valvola Area Multi Reverb MkII from Italy is a studio quality reverb pedal, just with some interesting switching options to help keep your guitar tone intact. 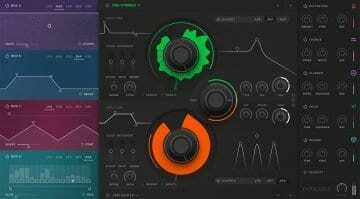 Mutes is a 4-channel performance muting module with momentary and latched mutes based on vactrols for smooth, clickless action. 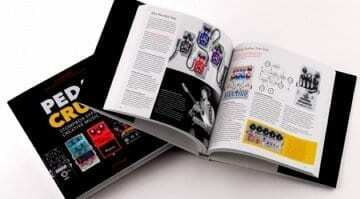 Perfect for switching audio and CV creatively through your rack. 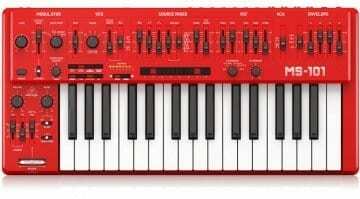 The red version of the MS-101 gets officially launched on the Behringer website and we now have all the details including a no-talking sound only video of the synth in action. 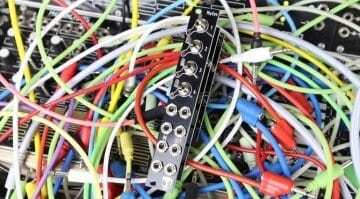 NAMM 2019: Old Blood Noise Endeavors and Datachoir’s Rêver is back! 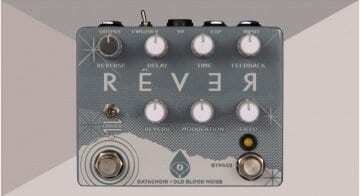 The Rêver is back for 2019 and you will soon be able to pick one up again. 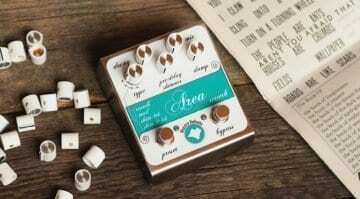 This pedal is a collaboration between Old Blood Noise Endeavors and Datachoir. 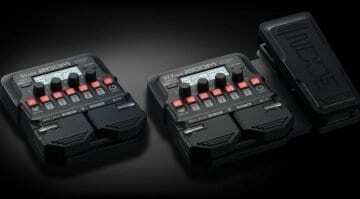 So expect strange glitchy and ambient washes. 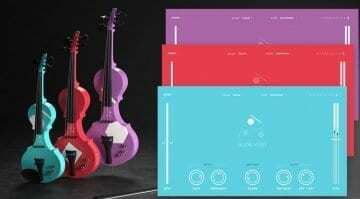 Expressive E the makers of the weirdly wonderful Touché wobbly MIDI/CV controller has introduced Arché, a suite of virtual instruments that model the acoustic qualities of three stringed instruments. 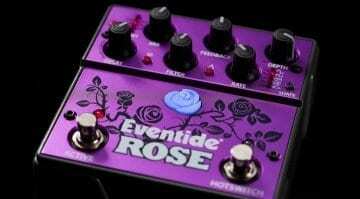 Eventide has been busy cultivating the Rose effect pedal. 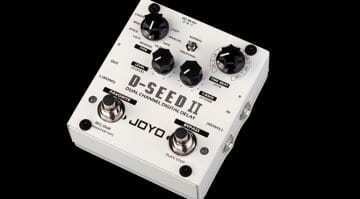 It is a new BBD style delay built with modern tech and it has oodles of modulation parameters for you to tweak. 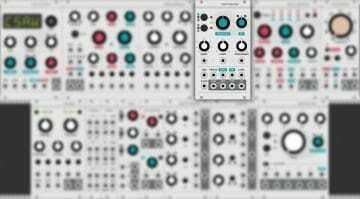 The Mutable Instruments modular previews for VCV Rack continues with the Tides Tidal Modulator. 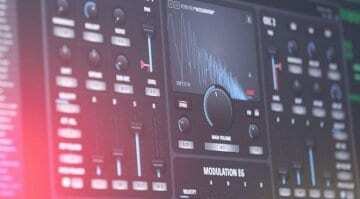 $20 gets you the preview plug-in and you can run 9 Mutable modules in your virtual rack. 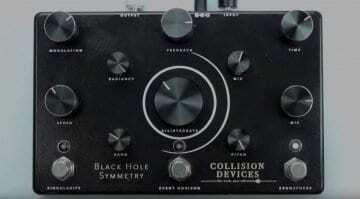 French upstarts Collision Devices' have launched the Black Hole Symmetry pedal, a unique take on some classic guitars pedal effects combined into one very interesting and creative package. 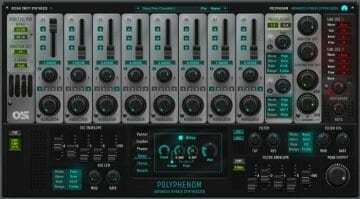 Polyphenom combines additive and subtractive synthesis in the hope of it adding up to something awesome. 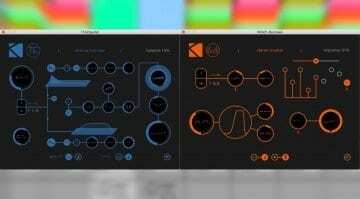 It certainly pulls off the dreaminess of additive and the power of subtractive in one neat package.